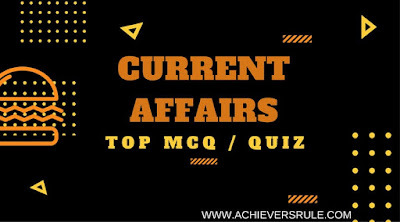 Solve the Daily Current Affairs Quiz - 15th January 2018 to check your preparation of Current Affairs for upcoming IBPS, SSC, Railways exams. You can boost your confidence by solving the quiz set as it covers all important recent news. Q1.The ____ Army day is celebrated in India on 15th January to mark the taking over of Indian Army by First Indian Commander-In-Chief _____ . Q2.India has signed __ pacts with ____ to enhance cooperation in the areas of cyber-security, energy etc. .
Q3.Name the district of Rajasthan in which the 25th International Camel Festival has happened. Q4.Who is appointed as the MD and CEO of NCDEX ? Q5. _____ has organized a 2 day International Workshop on Disaster Resilient Infrastructure in _____ . Q6.Which team has won their first PBL (Premier Badminton League) by defeating Bengaluru Blasters ? Q7.Name the country that has banned women from buying liquor . Q8.What is the rank of India on the Global Manufacturing Index by World Economic Forum ? Q9.Johnson and Johnson has partnered with ____ Government on health interventions . Q10.India has contributed ______ to UN Secretary General Antonio Guterres's Office of Envoy on Youth for helping its mission to involve young people in the World Body's goals . Explanation 1. Army Day is celebrated on 15th January every year in India, in recognition of Field Marshal Kodandera M. Cariappa's (then a Lieutenant General) taking over as the first Commander-in-Chief of the Indian Army from General Sir Francis Butcher, the last British Commander-in-Chief of India, on 15th January 1949. Explanation 2. India and Israel have inked nine pacts to boost cooperation in key areas, including cyber security and energy. The agreements were signed after extensive talks between Prime Minister Narendra Modi and his Israeli counterpart Benjamin Netanyahu for bolstering bilateral ties in strategic areas. Explanation 3. Showcasing the rich and colourful culture of Rajasthan, the two-day 25th International Camel festival kick-started in Rajasthan's Bikaner district. Scores of beautifully decorated camels from various regions were witnessed on the first day of the festival which is organsied in Karni Singh stadium. Explanation 4. Sebi approves Vijay Kumar's appointment as NCDEX MD & CEO. Kumar, a former chief business officer at NCDEX, is likely to assume the office next week. The exchange's selection committee had picked his name for the MD and CEO's post from a list of 11 candidates. Explanation 5. Union Home Minister, Shri Rajnath Singh has inaugurated a two-day International Workshop on Disaster Resilient Infrastructure (IWDRI) on January 15, 2018 in New Delhi. The workshop is organised by the National Disaster Management Authority (NDMA) in collaboration with United Nations Office for Disaster Risk Reduction (UNISDR). Explanation 6. Hyderabad Hunters overcame a fighting Bengaluru Blasters 4-3 in a thrilling summit clash to claim their maiden title at the third Premier Badminton League (PBL) at the Gachibowli Indoor Stadium in Hyderabad. Explanation 7. Sri Lanka’s President has ordered the reinstatement of ban on women buying alcohol and being employed in places where the drinks are produced and sold. Explanation 8. India ranks 30th on WEF global manufacturing index while Japan tops ranking. Explanation 9. Maharashtra’s mine workers who face an increased risk of tuberculosis will be part of awareness programmes on the illness, as part of a partnership that the Maharashtra Government recently formalized with Johnson & Johnson. Other interventions under the ambit of the agreement include hospital acquired infections and maternal and infant mortality. Explanation 10. India has contributed USD 50,000 to UN Secretary General Antonio Guterres's Office of Envoy on Youth to help with its mission of involving young people in the world body's goals.